One of the strongest powerlifting bars that CAP makes. This bar is similar to the OB-86PBCK but stronger. This is the 2015 version re-branded as "The Rebel" on the end cap. Environment: All - Clubs, college and high school gyms, home. Exercises: All power lifts - squats, bench presses, deadlifts. This bar would be an excellent choice for an all-around powerlifting bar. It's got the right diameter, a grippy black oxide finish, very strong steel, IPF spaced knurl rings, and the all-important center knurling to keep the bar on your upper back for back squats. It will fit right in with serious powerlifting equipment and gear. 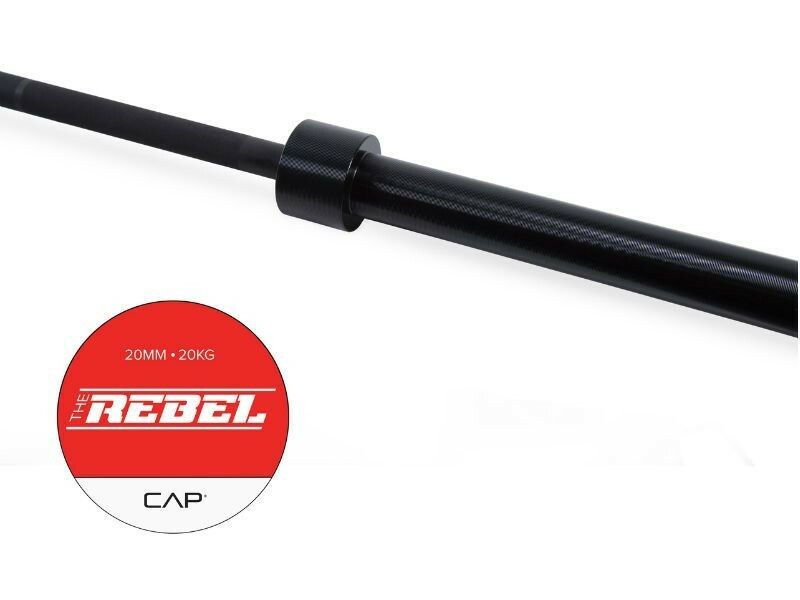 CAP has a lower price point on their bars than many other manufacturers, so don't be fooled by the relatively low price compared to other powerlifting bars. For an even stronger bar, consider upgrading to the 200,000 PSI Intek Power Bar.